As IBPS has already been announced CWE results for PO-II & results for CWE for Clerks-II will be announced shortly. Candidates must be concerned about the preparation of Interviews. 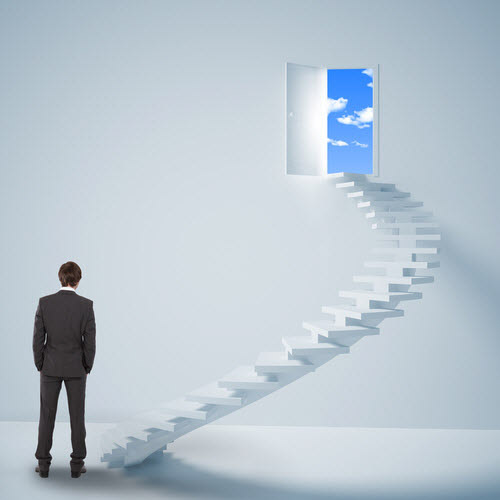 Interview is the final step which completes the recruitment process and leads to appointment in the bank. To help the aspirants prepare well for the interviews, we tried to answer some of the most commonly asked interview question which can help a candidate to create his impression on the interviewer. Note that this is just to help the candidates, don’t recite them. Well to be very frank there is no predetermined answer for this question. But in simple, you are expected to tell something new and which is not there in the resume already. YOU should be the BEST person to talk about yourself. Since there is no right or wrong answer for this question hence it is important to appear confident. Showcase your communication skills– One should take the opportunity to show his/her communication skills by speaking clearly and concisely in an organized manner. This question is more like an ice breaker letting you speak for a minute or so, displays that. Showcase your individual talents and uniqueness– This is the time for the interviewer to scan through your resume. Most of you write reading and listening as hobbies. It’s so common in all resume. Say something that grabs attention. Let you control the interview– Most interviewers get bored with all the same questions and answers. They are more than happy to take a new road if provided. Note that you should not exceed this answer beyond 3 minutes. Avoid details. 2) Which is your favorite subject? This is the area from which questions are invariably asked to all students. In terms of preparation this is the easiest – all you need to do is study. Prepare a couple of subjects from your final year and brush up the fundamentals of the key subjects. You should also revise your summer internship report, term papers or any project that you may have done as part of your academic program. Also, Be sure to relate your favorite subject with the profession/industry you are interviewing for. For your least favorite subject try to choose something that has no bearing on the job you are interviewing for. If you are already working somewhere then you should have good knowledge of your work as well as Knowledge of your company, competitors and industry. 3) What are you long term goals or where you see yourself after 5 years or so? This is a very common question. They are trying to see how focused you are. It is a question where virtually any answer can get you into trouble, since you don’t know your interviewer. If you aim too high, you might come off as too ambitious and either won’t be around long enough to cover the cost of training or you’ll threaten their own position. If you aim too low, you lack initiative and won’t contribute enough to cover the cost of your salary. Reassure your interviewer that you’re looking to make a long-term commitment that this position entails exactly what you’re looking to do and what you do extremely well. As for your future, you believe that if you perform each job at hand with excellence, future opportunities will take care of themselves. Sample answer: I don’t have a specific plan! I would like to advance. However, I am flexible. I will do my current job to the best of my ability and keep my eyes open for opportunities within the organization to advance even if it means changing roles. I am prepared to learn new things and contribute to the overall success of the organization in a number of ways. The only specific within that “plan of willingness” is that the opportunity be within my ability to learn, interesting enough for me to dig in and do a good job, and the compensation increase a reasonable amount in relation to the demands of the position. The interviewer asks this question just to find out how your skills, experience and knowledge can add value to the job. Well to answer this question you need to learn what they are looking for and then tie them with your strengths. This ensures that you are a viable fit for the position. Present yourself, your abilities, skills and interests; above all, you should underline that your abilities match the company’s requirements. Also, it will not be enough to just maintain you have particular skills but also have to prove / furnish evidence, which means you should think beforehand about which of the abilities and skills you have already applied in practice. Also keep in mind, Do not mention any other candidates to make a comparison. The Interviewers are very Experienced and they will realize if you are saying truth or just trying to Outsmart them. Avoid using phrases like “This is the Best Company” or “I want to work in this field“. Instead, try to mention good things about you that are related to that job and this will surely prove your usefulness. Remember that at the end of the day you have to make the interviewer feel that you are the right person for this job. This is again a very commonly asked question. The Interviewer here wants to analyze how much you know of yourself. 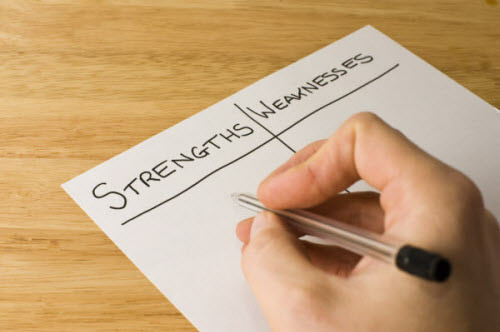 Strengths:- You should mention your strengths that are beneficial for them. For example, It should not be like “I am a very good cricket Player“, Rather you should focus on strengths that are related to that job. For example, “I have good communication skills” Or “I Like Interacting with people” Or “I am good at a analyzing Problems and working in a team to find out appropriate solutions”. Weaknesses :- You should not say that you do not have any Weakness. It shows that either you are Overconfident or have not assessed yourself and don’t want to talk about it. Similarly, do not say phrases like “I am short tempered” Or “I get angry very soon and can do anything in anger“. Rather you should genuinely mention the areas that are related to your professional life and you are trying to get better at them. These are basic questions but often asked….apart from it..
About rates,rbi nd its functions,loans and advances,current issues…. in my point of view…..subjective questions ka jwab to har koi dega bt ap personal questions ke jwab kitne confidently dete ho ….jyada matter krta he…. am a Science graduate and now studying MBA. What is d ideal answer for the question-if u wanna study Business mgt ,why didnt u chose commerce in graduation? Great Efforts done to prepare this. Very Nicely done & in a presentable way.. Thanks to Banks-India team. very good. keep it up and do provide more articles like this one. yesterday i face idbi bank interview i want to share my experience. be relax not try to lie about any thing. thank you very much, those questions are very imp for every student. i dnt thnk they r asking such traditional questions excepting 4,coz i was being asked that on punjab sind bank intrvw.85pc were asked on banking. gramin bank ka interview english hindi kisme hota hai.